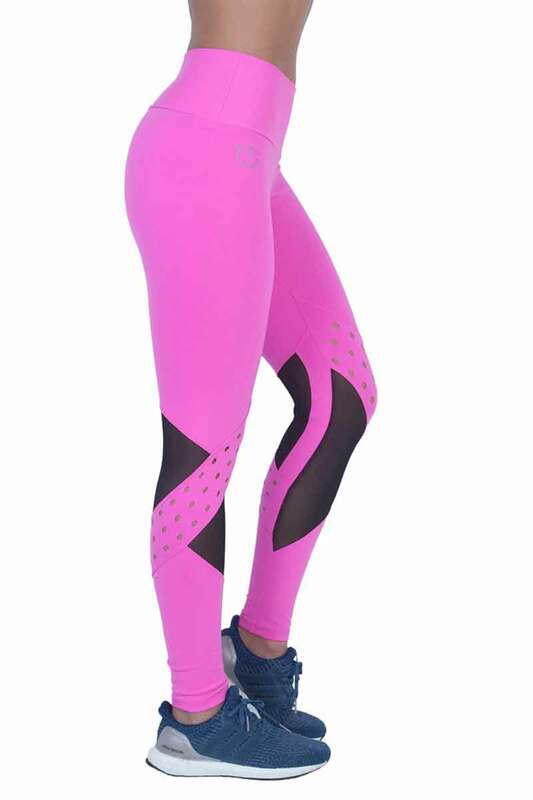 The legging version of the same name capri! 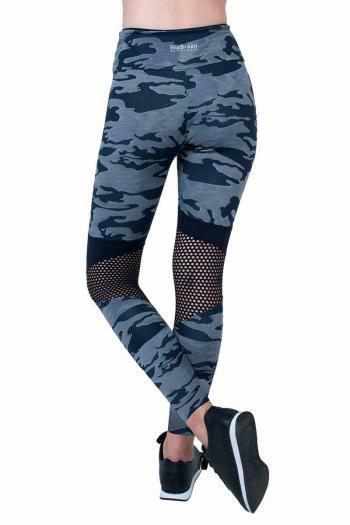 Modern high rise wide waist band gives a smooth mid-section look and extra comfort. 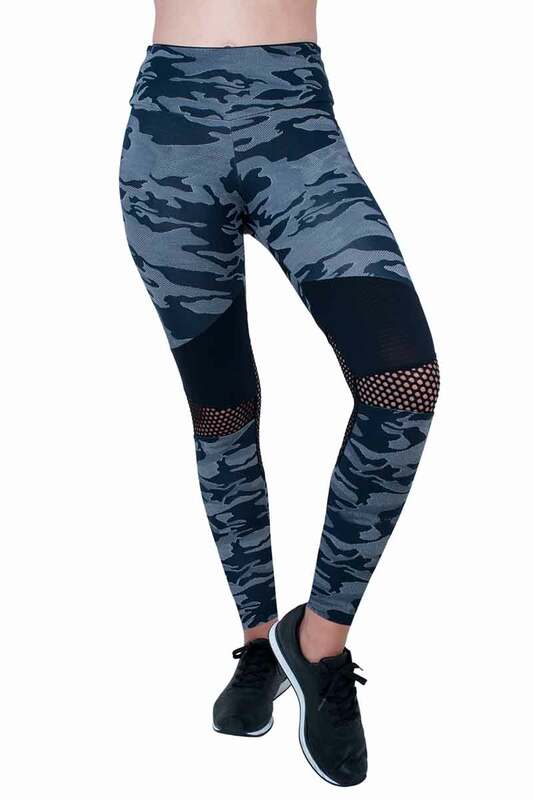 Camo print with black asymmetric panel and mesh details at the knees.